Callout extensions are used to highlight your value add. This is where you provide the reasons why someone would want to select you instead of one of your competitors. Do you offer free shipping? Easy returns? A trial period? This is where you want to include those special differentiators! 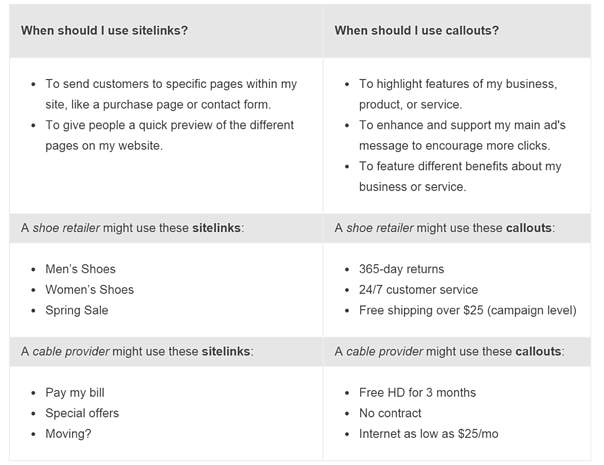 AdWords Callouts look similar to sitelinks and often get confused with them. While they are short and grouped in a similar way, they have a major key difference: they do NOT link to anything. Most advertisers will tend to default to callouts that are similar to their sitelinks, but if you really want to be effective you should highlight what makes you great, what sets you apart and answer the question of "why you?" and not someone else. Free shipping, 24-hour customer service, sales and promotions are all great ideas for your callout extension text. Remember, these don't have links so if you're using text that people are going to want to click on, it might be better to make that text a sitelink extension. This cosmetic surgery clinic highlights that they offer financing, that their financing is relatively affordable for most, and establishes credibility by highlighting that they have been doing surgery for a long time. These quickly build trust and will likely lead to a higher CTR than ads that do not establish trust, credibility, or outline affordability. 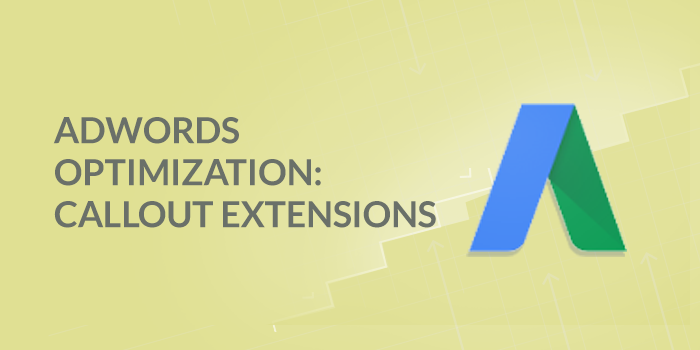 AdWords callout extensions can be set at the account, campaign or ad group level so you can make them pretty specific to the ads that are showing and keywords that are triggering them. For the account level you might add in your site wide "Free Shipping" promo, whereas at the adgroup level you might have a promo for that select group of keywords such as "50% Off Lego" for your Lego adgroup. Pro Tip: Schedule Your Callouts! Do you have a promotion running? Special holiday bonus? A daily happy hour deal? Schedule your callouts so they only appear on certain days or certain times. While you might be tempted to add in the minimum amount of callouts and call it a day, DON'T! Add in a few extras. Google will select which ones to show and you'll be able to start getting some data as to which ones people are engaging with and which ones they aren't. Take a look at this example below: the bottom callout extension is 4/6 on the list for most impressions, but dead last when it comes to CTR, conversions, and conversion rate. Plus, it's cost per conversion is about twice that of the other callouts. It's important for me to point out here that this poorly performing callout extension is one that both our team and the client had identified as being a key differentiator for them, and was one we wanted to highlight in many of our marketing campaigns. With this knowledge in hand we were able to run some A/B tests of the other campaigns which found similar data – the key audience were just not interested in this callout. This helped us re-shape our campaign and further increase engagement. 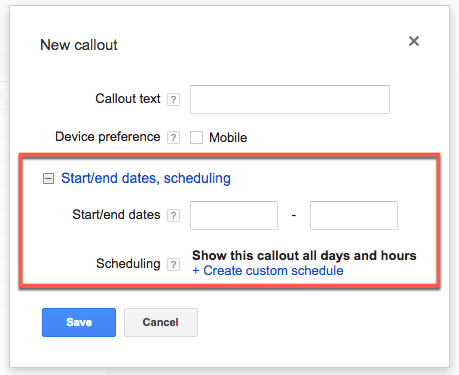 Have you been leveraging AdWords callout extensions? Have any tips to add? Let me know in the comments below!